The Patriot Movement Has Been Put On Notice—BIG TIME! SOTN Editor’s Note: The WaPo article posted below in its entirety provides the details for what was actually a gross miscarriage of justice in Charlottesville, Virginia. Of course, their MSM hit piece does not say that. What happened in that court-house today shows just how the U.S. Criminal Justice System can frame an innocent person for a murder even when it’s committed in broad daylight. Exactly what kind of foul play occurred during the court proceedings which precipitated such a travesty of justice? The following exposé was researched and written by Princeton PhD James Fetzer. There is plenty of hard evidence in just this one piece to prosecute a judge, a DA and his staff. What’s particularly concerning is that this entire psyop was deliberately staged to produce this precise outcome. Because of the chilling effect it will have on every patriot who’s thinking of showing up at a civil protest or political demonstration anywhere in America. Every person on the Right will soon hear about this unjust life sentence meted out to a perfectly innocent man. And, the vast majority will react in a quite predictable way by avoiding controversial events or rebellious groups in the future. So it really wasn’t James Fields they were going after today; the globalists are aiming for the truth movement. Every patriot and nationalist is in their sites for the foreseeable future. Show up at the city square to voice your grievances and you’re vulnerable to being set up, especially if you’re on the Right. N.B. 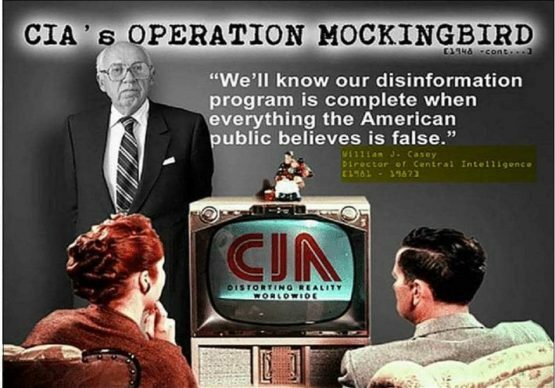 Now see the masterful propaganda piece below posted by the flagship of the CIA’s Mockingbird Media. CHARLOTTESVILLE — James A. Fields Jr., an avowed neo-Nazi who rammed his car into a group of counterprotesters at a white-supremacist rally, was sentenced to life in prison by a jury Tuesday after a trial that offered an unsparing view of the physical and emotional ruin he caused in this city with a burst of vehicular rage 16 month ago. Fields, whose psychiatric disorders dating to early childhood were detailed in court by a mental health expert, did not deny that he intentionally accelerated his Dodge Challenger into a group of counter-protesters at the “Unite the Right” rally on Aug. 12, 2017. His lawyers contended that he was afraid about his safety and acted to protect himself. But jurors, in issuing 10 guilty verdicts last week, rejected that argument. One of the anti-racism demonstrators, Heather Heyer, 32, who worked for a local law firm, was killed in the crash and 35 others were hurt, many grievously. Fields also faces a separate federal trial for alleged hate crimes related to the incident, including one offense that carries a possible death sentence. No trial date has been set, and the Justice Department has not said whether it will seek capital punishment. In the meantime, Fields will be held in a state penitentiary, where an inmate who has served a certain amount of a sentence can petition for geriatric release after age 60. Otherwise, Virginia does not allow parole for felonies committed after the mid-1990s. Several of the injured, testifying at Fields’s trial and sentencing hearing here, described lasting physical wounds, psychological anguish and financial distress. They spoke of shattered bones and debilitating nerve damage from which they might never fully recover; of nightmares and social isolation caused by post-traumatic stress disorder; and of crushing medical bills from multiple surgeries that have depleted their insurance and could burden them far into the future. Hundreds of white supremacists descended on the city for the rally, nominally in support of Charlottesville’s statue of Confederate Gen. Robert E. Lee, which officials plan to take down if they win a pending lawsuit over the issue. 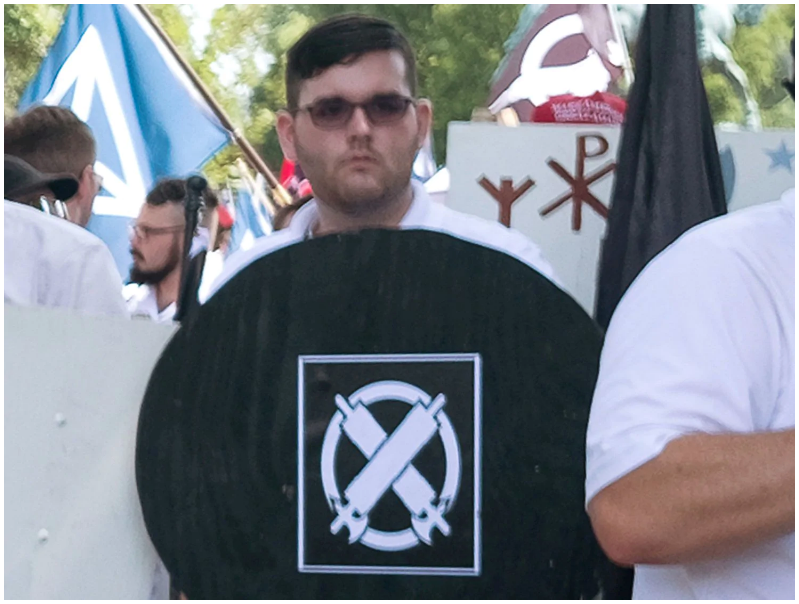 Chanting racist and anti-Semitic slogans as they marched in the streets, the white supremacists violently clashed with counter-protesters for hours. Photos and video of the mayhem — including images of broken bodies propelled in the air by Fields’s speeding Dodge — were viewed worldwide, galvanizing public attention on emboldened ethno-fascists in the early months of the Trump administration. Daniel Murrie, a University of Virginia psychologist who reviewed thousands of pages of Fields’s school and mental health records, testified that bipolar disorder was diagnosed when Fields was 6 and that, as an adolescent, he was found to have schizoid personality disorder. Murrie said Fields was housed in psychiatric facilities for three stretches before his 15th birthday. He told the jury that Fields, who did not take the witness stand, has been given to angry, sometimes violent outbursts since before he could walk A loner and social misfit, he washed out of Army basic training after graduating from high school, then worked at low-end jobs, playing video games for dozens of hours a week, Murrie said.